Who can deny the musical talent of young men of indeterminate Eastern European origin? A new viral site, apparently for Nokia, presents Pjotro, a heavily accented fellow who has invented a “musical suit” and wants you to play around with it. 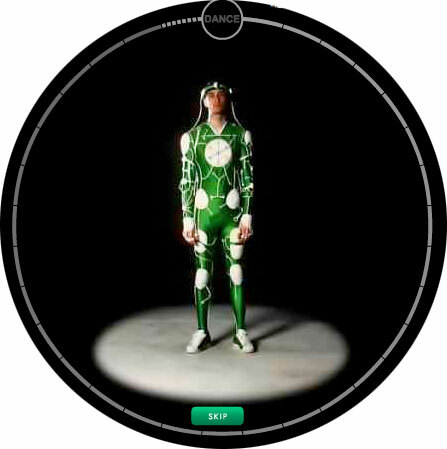 Pjotro comes out in his green one-piece, decked out with motion sensors and wires, and encourages you to adjust his moves (fast or slow, crazy or cool, sharp or smooth) to create music. I guess you could call it music. You can save your creation as a ringtone and video and send it to a friend, etc. It’s certainly weird; it’s unclear whether it’s any good. The only link to Nokia is a “My Mobile” bug on the top of the page, which opens a product shot. Adverblog and Random Culture have both written about Pjotro already, and there’s some debate over there about whether the connection to the brand is strong enough.